Theodore Bikel is an actor, singer, songwriter, musician, photographer, writer, lecturer, political activist, and union leader. His major motion picture credits include, The African Queen, The Defiant Ones, and The Russians Are Coming, the Russians Are Coming. On stage he created the role of Captain Von Trapp in the original 1959 Broadway cast of The Sound of Music, and later, frequently played Tevye in Fiddler on the Roof. * The original spelling of his first name came about as a result of the fact he was named after Theodor Herzl, journalist and founder of the modern, political Zionist movement. He also happens to share his May 2nd date of birth with Herzl as well. ** Theodore Bikel was not born "March 2, 1924" as a couple of sources erroneously report, nor was he born "May 24, 1924" as the 1994 edition of Leonard Maltin's Movie Encyclopedia reports. Bikel confirms his May 2nd, 1924 birth several times in his autobiography. Contrary to what many sources report, Theo's first marriage to Ofra Ichilov did not take place in 1942, nor did his divorce from her occur in 1943. His marriage to her took place after his arrival in America in the mid-fifties. (Theo Bikel arrived in the U.S. for the first time on December 11th, 1954) Their marriage took place at City Hall in New York City. It was a short-lived union, with a Juarez, Mexico divorce bringing it to an official end. NOTE: Several sources erroneously report Bikel moved to the U.S. in the forties. As noted above, he didn't arrive in the U.S. until 1954. Mr. Bikel confirms this fact in his autobiography. 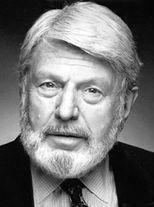 Born in Vienna, Austria, Theodore Bikel spent his teenage years in Palestine. It was there that he began acting, and even helped found a local theater. In 1946, he entered the Royal Academy of Dramatic Art in London. By the time he graduated two years later, he'd also developed a passion for folk music and the guitar. When Theo first arrived in America on December 11th, 1954, he already had an impressive list of stage credits. He quickly became known for his mastery of several languages, his acting versatility, and singing. His guitar was never far away, and his skill as a singer/musician was utilized in numerous stage, television and film roles. Notable films include The African Queen (1951), The Enemy Below (1957), and The Russians Are Coming, the Russians Are Coming (1966). Star Trek fans may remember him as Worf's adoptive father in Star Trek: The Next Generation. Bikel also created the role of Captain Von Trapp in the original 1959 Broadway cast of Rodgers and Hammerstein's The Sound of Music. Later in his career, the stage role that he became most identified with, was Tevye in Fiddler on the Roof. He surpassed his thousandth performance as Tevye in 1990, and eventually went on to appear in that role more than 2000 times. Bikel received a 1958 Academy award nomination as Best Supporting Actor for his role as the Southern Sheriff in The Defiant Ones. He was the recipient of two Tony Award nominations: in 1958 as Best Supporting or Featured Actor in a dramatic role for The Rope Dancers, and two years later, as Best Supporting or Featured Actor in a musical for The Sound of Music. On more than one occasion, this versatile actor/singer even tried his hand at opera. As had been the case with most of his stage and screen roles, his reviews were quite respectable. In 1957, with Herb Cohen as his partner, Theo opened the first folk music coffeehouse in Los Angeles. The Unicorn on Sunset Boulevard proved so popular with the folk music crowd, they opened a second venue. Cosmo Alley offered a more traditional club atmosphere, presenting not only folk music, but poetry readings and comedy acts as well. Theodore Bikel himself, Lenny Bruce, Glenn Yarbrough, and Maya Angelou were among the performers appearing there. On the personal front, he and his second wife Rita suffered through two miscarriages before the birth of their first son Robert Simon Bikel in 1969. Son Dan Bikel soon followed. Though his second son, Dr. Daniel M. Bikel, is better known for his work in the computer field, he also inherited some of his father's musical talent. Theo Bikel was a prominent civil rights activist, co-founder of the Newport Folk Festival, and host of his own radio show back in the late fifties, and early sixties. He served as vice president of Actors' Equity (a union for stage performers) from 1964-73, then as president from 1973-82. In 1977, President Jimmy Carter appointed him to the National Council on the Arts, a position he held until 1982. Theo: The Autobiography of Theodore Bikel, was published in 1994. He divided his time between Los Angeles and New York City until 1971, when he moved his family to Connecticut. Laden with happiness and tears." The most in-depth of more than two dozen sources consulted in preparing this profile, was his 1994 autobiography, Theo: The Autobiography of Theodore Bikel.